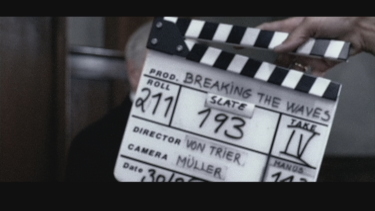 For those who aren’t aware of it, Lars von Trier is obsessed with Carl Dreyer. He views him as a father figure, his role model, his favorite film is “Ordet”, he used Henning Bendtsen as cinematographer on “Epidemic” and “Europa”, he bought the suit Dreyer wore at the opening of “Ordet” and wore it at the opening of “Europa” (and again in “Riget”) and finally, during an interview he announced “I am a Dreyer guy”. 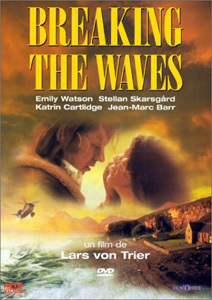 Like “Ordet”, so does “Breaking the Waves” depict the conflict between dark religion, which preaches the fear of God, and light religion, which believes in the love of God, and Lars von Trier very wisely doesn’t question religion. Instead he employs the conflict as a tool by which to examine how love and goodness, a golden heart, leads to self-sacrifice and ultimately the martyrdom of Bess. 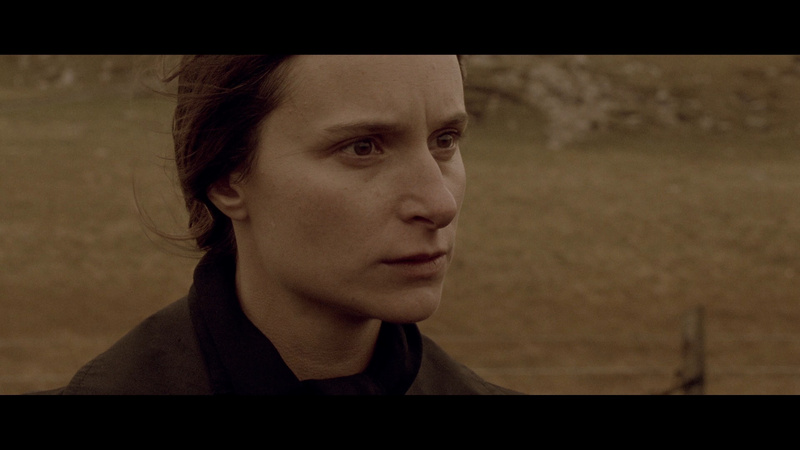 Speaking of martyrdom, Lars von Trier made cinematographer Robby Müller shot Bess with same gaze as Falconetti in Dreyer’s “La Passion de Jeanne d'Arc”. 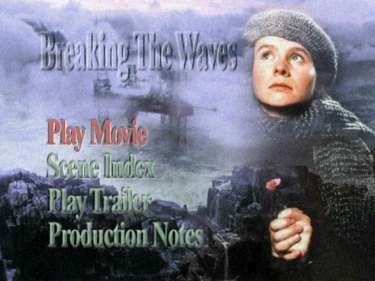 As much he is a “Dreyer guy”, as much is “Breaking the Waves” a “Dreyer film”. But underneath this camouflage of allusion and homage, is a perverse love story, portraying the transformation of Bess from shy innocence to self-sacrificing sinner, thereby attacking our conventions of normality and goodness. 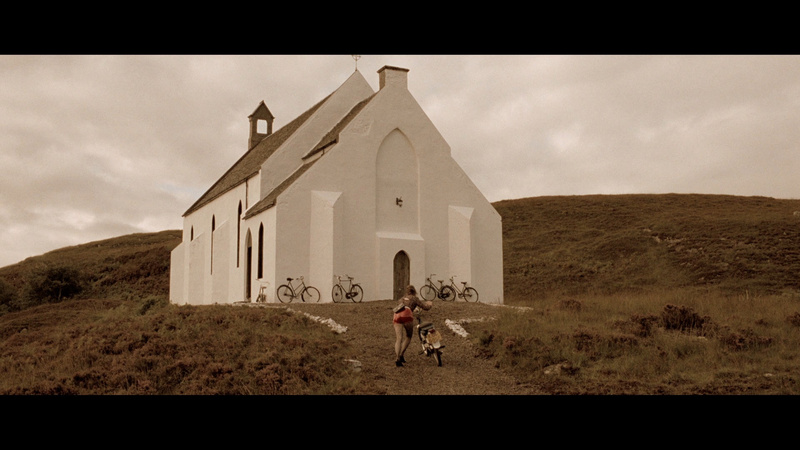 Only Lars von Trier would dare to turn something as beautiful as innocent love into a perverse sadomasochistic relationship. This is a stroke of genius. 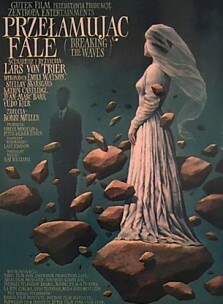 By placing religion in the background, no one questions blind faith in religion, but instead asks, why Bess seeks humiliation and personal degradation to satisfy the wishes of Jan. Thru Bess, Lars von Trier is setting self imposed slavery, either by religion or by love, up against each other, thereby examining the conflict of dark vs. light religion, and ultimately showing us, that there is a God, that he is a pretty decent guy, who understands us more than we give him credit. 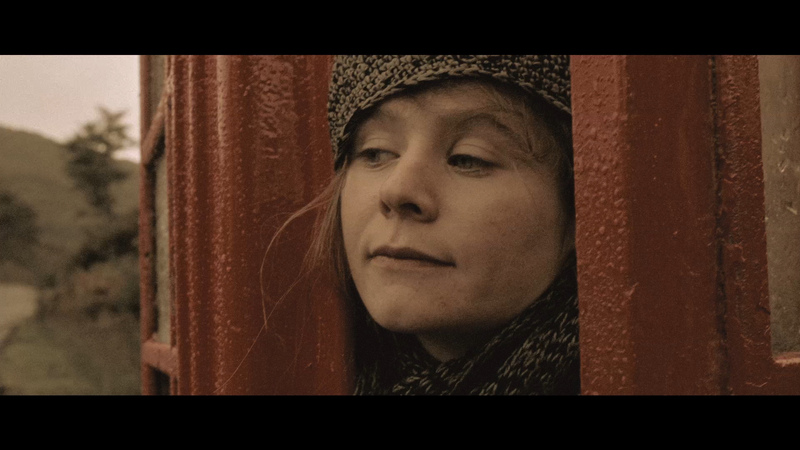 Big thanks to Ole Kofoed and to Vincent BOUCHÉ for the DVD Screen Captures! 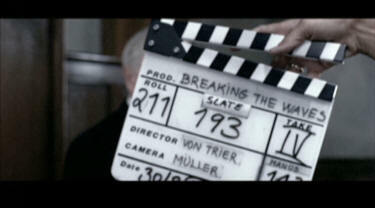 Selected commentary with Lars von Trier, editor Anders Refn - Interviewed by Dod Mantle (In English) (Total 44:42 - PAL). 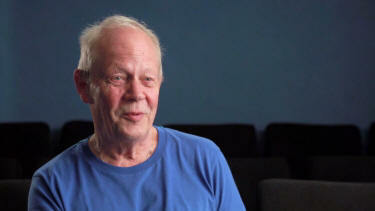 Excerpts from the documentary 'Tranceformer - A Film about Lars von Trier' (17:27). 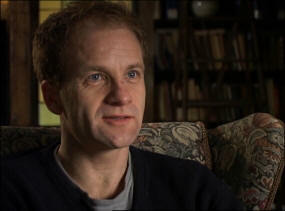 Interview with Adrian Rawlins (2:09). 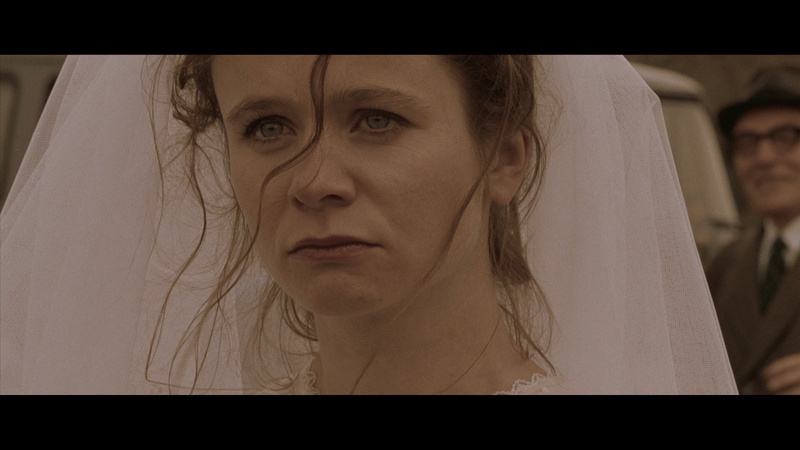 Casting of Emily Watson (with optional commentary) (2:05). 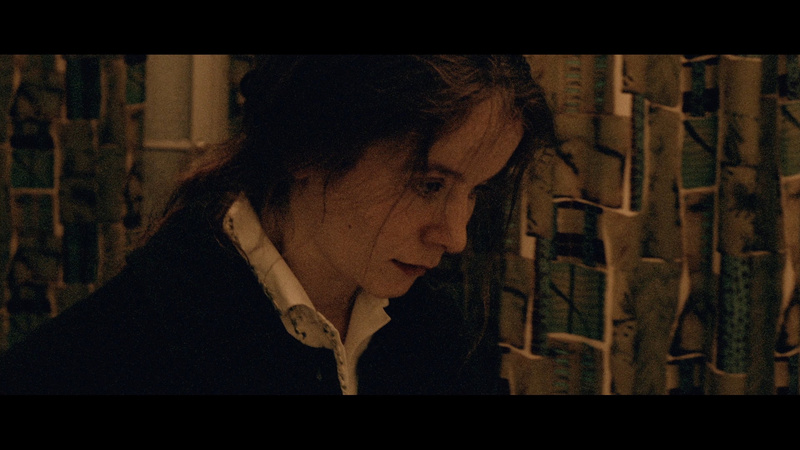 In Memomory of Katrin Cartlidge (Deleted scene) (1:11). 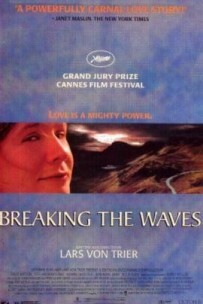 Lars von Trier promo clip - Made for the Cannes Festival 1996 (0:15). 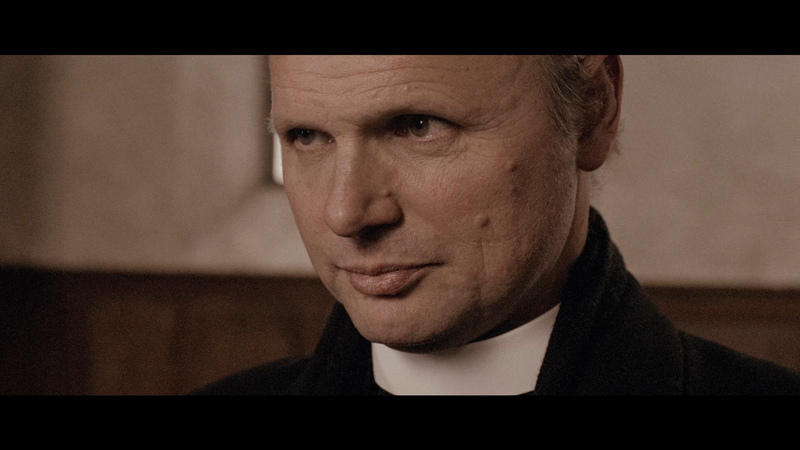 2 deleted scenes (with optional commentary) (3:34)(2:53). 2 extended scenes (with optional commentary) (3:18) (1:32). Trailers for Dogville, Europa, Breaking the Waves, The Kingdom, Dancer in the Dark and The Idiots. 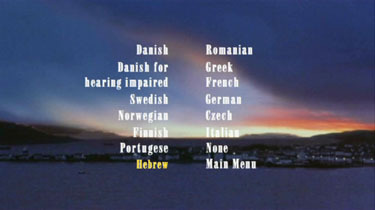 Extras are subtitled in English (When there is non-English spoken), Italian, Greek and Portuguese. NOTE: The Danish release has (as shown in theatres): Davie Bowie's "Life on Mars" on the last "inter-title" while all other old video/DVD-releases (including Criterion's Laserdisc) have Elton John's "Your Song" - so this should be the first release that have the original soundtrack. The Bowie song was removed because of problems with song rights. ADDITION: Artificial Eye - Region 'B' - Blu-ray (December 14'): There is more of a difference in these two Blu-ray's image than I was anticipating. The Artificial Eye is lighter and has less of the greenish/golden hue of the Criterion. Skin tones return to normalcy but, I realize, unlike the Criterion that this was not supervised by von Trier. But, to be honest - as my first exposure to the film was on SD - I kinda like the Region 'B' appearance as it is not as extreme as the Criterion 1080P and the US transfer is more robust with a higher bitrate. I think it is interesting to have this difference - I was able to match most of the captures below with the exact frame and those who wish to toggle between the large, full resolution, captures can more readily see the disparity. I don't notice much difference between the audio tracks - the AE is also lossless (DTS-HD Master 5.1) but includes the option for a linear PCM 2.0 channel. 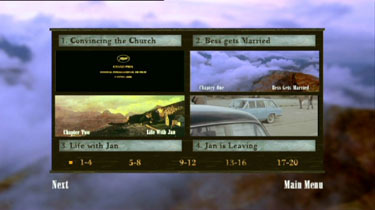 Like the Criterion the David Bowie's "Life on Mars" is used at the Funeral Title card and Elton John's "Your Song" is used for the Chapter Six title card. 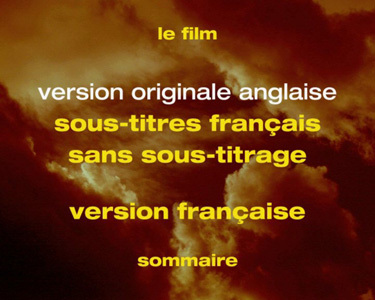 Artificial Eye do not offer optional subtitles - as the Criterion does. The AE Blu-ray is region 'B'-locked. 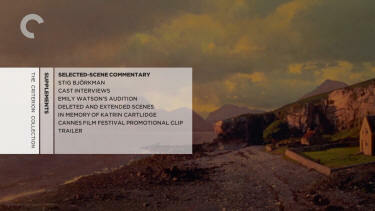 Artificial Eye does include plenty of extras - many duplicated on the Criterion including the select-scene commentary with von Trier, Anders Refn and Anthony Dod Mantle, the brief interview with Adrian Rawlins, the deleted scene 'In Memory of Katrin Cartlidge' as well as the other deleted, the excerpts from Watson’s audition tape, with commentary by von Trier and extended and the short von Trier Promo Clip. 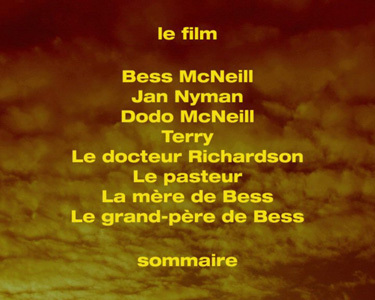 It adds the 17-minute excerpts from the Tranceformer documentary about the director. Great Blu-ray release and I appreciate the visual differences. 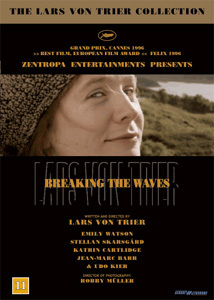 Nice to have the option and it adds further value to the Lars von Trier Blu-ray boxset! ADDITION: Criterion - Region 'A' - Blu-ray - March 2014': I have no explanation why the new 1080P transfer of Breaking the Waves differs so dramatically from the decade-old DVDs, excepting that Criterion's new 4K digital restoration was supervised by director Lars von Trier. It has a very earthy brown tone, is darker and I occasionally felt it was yellow/golden. It shows more information - mostly on both side edges and clocks-in at about a 2.35:1 aspect ratio. 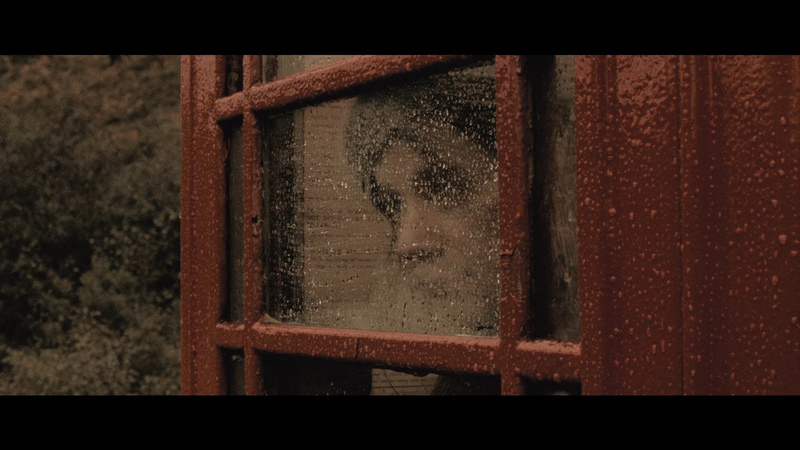 It shows the grain textures very well without looking 'noisy' or displaying artifacts as the SD was prone to. It looks great in-motion and, eventually, I found the color-shift less noticeable. Audio is transferred via a DTS-HD Master 5.1 surround at 2416 kbps. Separations are evident from the frequent wind to more subtle effects. 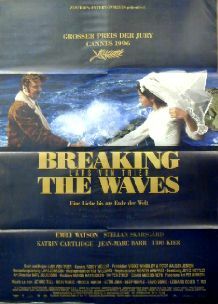 I had forgotten all the great music in Breaking the Waves, if often incomplete songs from the likes of Bob Dylan, Rod Stewart, T-Rex, Leonard Cohen, Elton John (Goodbye Yellow Brick Road), David Bowie, Roxy Music and more. The uncompressed adds a layer of crispness. 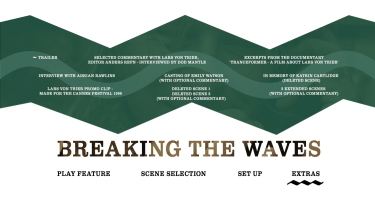 There are optional English subtitles on the region 'A'-locked Blu-ray disc. 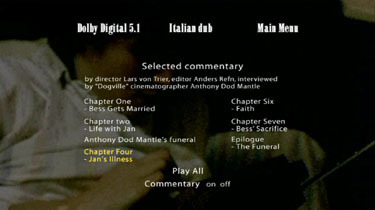 Criterion include the same selected-scene audio commentary, as found on the 2003 Sandrew Metronome DVD. 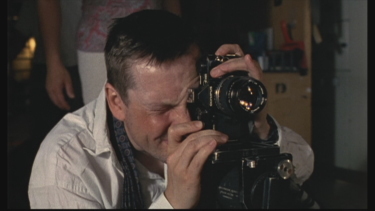 It features von Trier, editor Anders Refn, and location scout Anthony Dod Mantle. 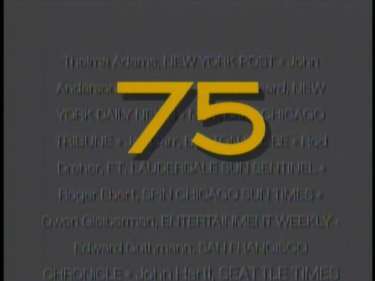 It runs 47:14 and the chapter titles are Cutting on Emotion, Primitive Visual Cuts, Mantle's Funeral, Violent Time Cuts, All Bible Bashers at Heart, Rage at Test Screenings, and Directing via Video link. 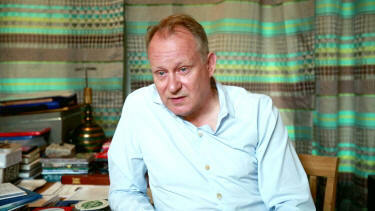 Criterion have a new (May 2013) 10-minute interview with filmmaker and critic Stig Björkman talking about the on-location shooting of Breaking the Waves and observing Lars von Trier at work. 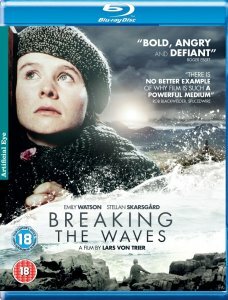 There are also new interviews with actors Emily Watson (17-minutes conducted by Criterion in June 2013) discussing the challenges she faced playing the complicated character Bess, and 12-minutes with Stellan Skarsgård from may 2013 discussing the director for the first time on Breaking the Waves a swell as their subsequent collaborations. 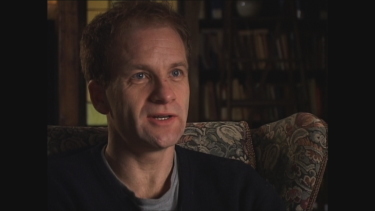 There is a brief 2004 interview with actor Adrian Rawlins and some excerpts from Watson’s audition tape, with commentary by von Trier. 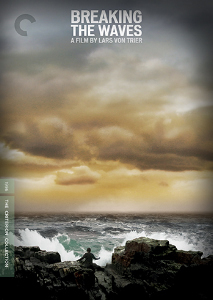 Criterion also have the 2 deleted and 2 extended scenes, with commentary by von Trier as found on the Danish DVD and a deleted scene featuring the late actor Katrin Cartlidge. 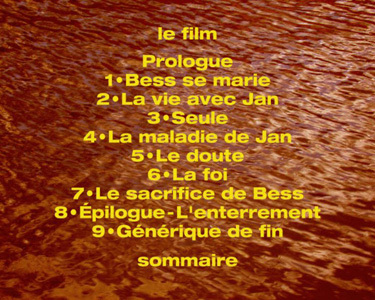 Lastly are a 17-second Cannes Film Festival promotional clip and a trailer. 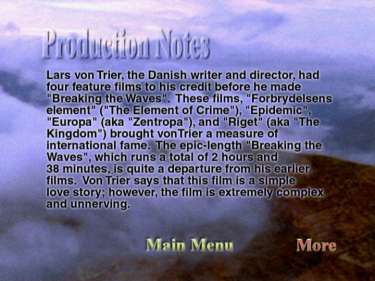 The package contains a liner notes booklet featuring an essay by critic David Sterritt and an excerpt from the 1999 book Trier on von Trier. 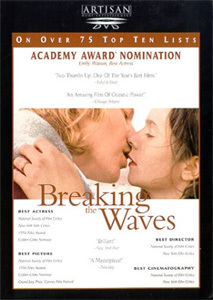 The dual-format set has 2 DVDs with all the features of the Blu-ray. 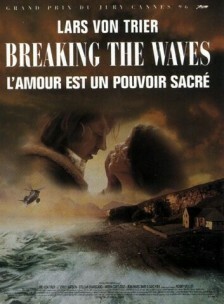 What can be said of Breaking the Waves. It remains a powerful viewing experience and the director's experimentation is still fascinating to behold. 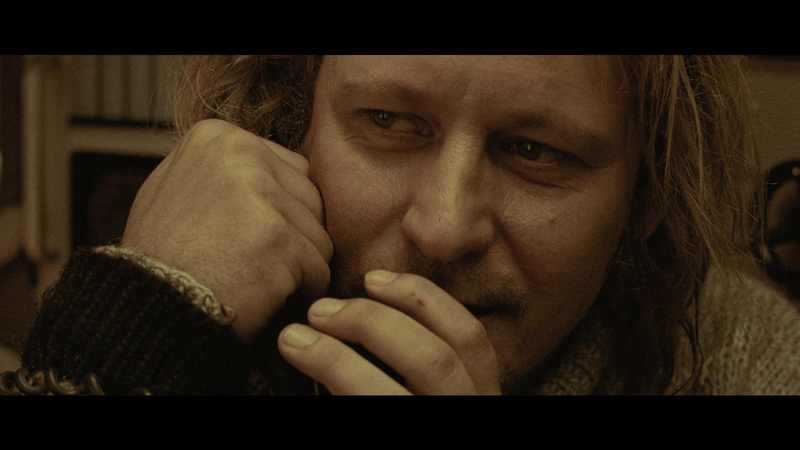 It is incredibly emotional and penetrating with memorable performances. 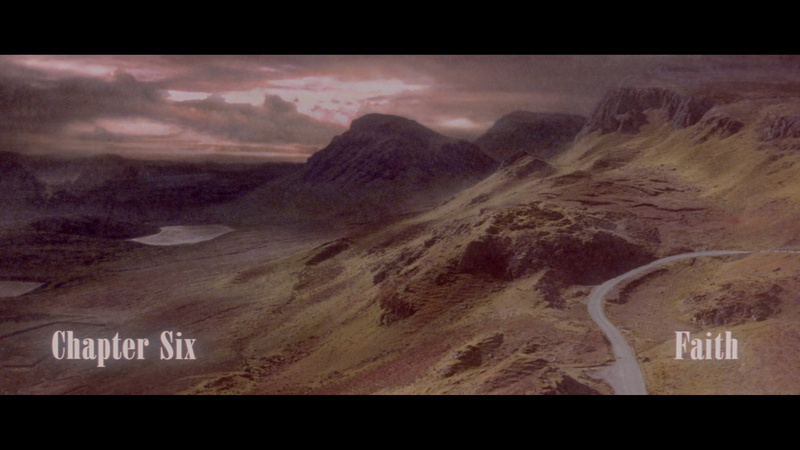 The Criterion Blu-ray was like seeing the draining film afresh. The new video extras are much appreciated. Recommend! ADDITION (Paramount Region 2 - July 04) - the Paramount R2 is hazy but uncensored. The Artisan is still the sharpest image. 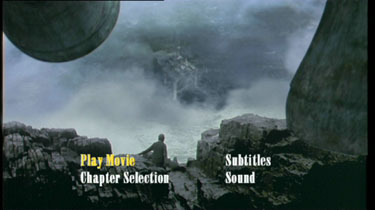 The Sandrew still has the best audio and extras. 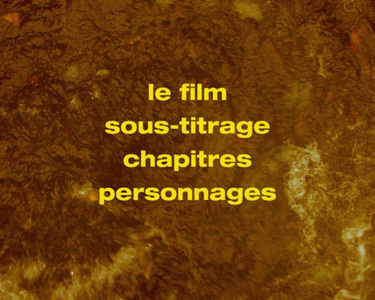 Well, we are not really looking at the same film here with the Artisan being censored, but as far as transfers go... they are about even. 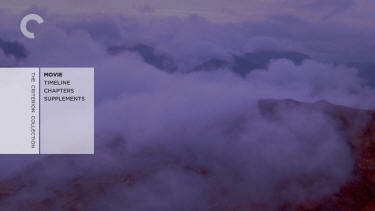 Same colors, no cropping, aspect ratio maintained. 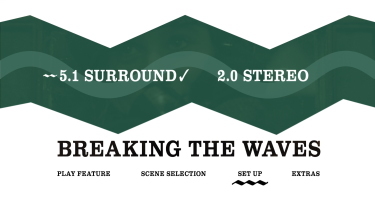 I see a tiny smidgen of green in the Sandrew/Metronome release as well as it being slightly brighter, but the mere fact of its anamorphic stature, better extras and for the boosted 5.1 sound. Widescreen TV owners will notice quicker, but the Region 2 is the way to go. The audio commentary on the Sandrew/Metronome DVD is below any standard. 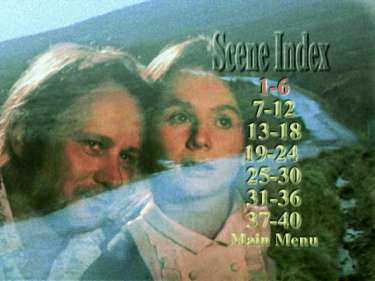 Not only of very short duration to begin with, but it is spread out over 6 chapters, making it more like footnotes, where Anthony Dod Mantle and Anders Refn add some depth, and where Lars von Trier rarely is serious.